It’s almost Halloween so that means spooky season is finally here. The season where you watch as many horror movies as you can with your friends or just by yourself. Here are some must watch horror movies. “It’s the Great Pumpkin, Charlie Brown” is an all time Halloween classic. This episode was first aired on Oct. 27, 1966. In this episode, Linus waits for the Great Pumpkin to appear while his friends go trick or treating. ABC will be airing this Halloween special Oct. 26 at 8 p.m. Although “Coraline” disturbed most of its viewers, it’s still a must watch and you should definitely add this to your list. “Coraline” follows a girl who finds a portal to another dimension that is very similar to her own but better. She has lots of fun until her other mother tries to keep her there. You can watch this movie on Netflix with a subscription. “The Night Before Christmas,” you can watch this classic on Halloween or Christmas. It was based off of a poem written by Tim Burton. “The Night Before Christmas” is about Jack Skellington trying to bring Christmas to “Halloween Land.” It was released Oct. 13, 1993. 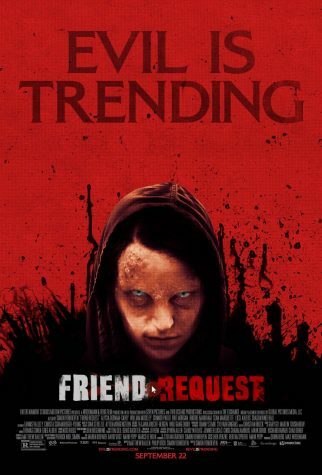 “Friend Request” is a supernatural-psychological horror film released in 2016. Released in Germany, overseas it is known as “Unfriend.” When a popular girl unfriends a mysterious girl online she is forced to fight a demonic spirit that wants to make her lonely by killing all her friends. Hope you enjoy these movies for the spooky season.